Above: Leslie Hammons with "Untitled" (2017) by Alex Soth. Photo by Alicia Eler. Say goodbye to "Weinstein Gallery." As of Jan. 1, it becomes Weinstein-Hammons Gallery, with long-time director Leslie Hammons as a partner with its founder, Martin Weinstein. 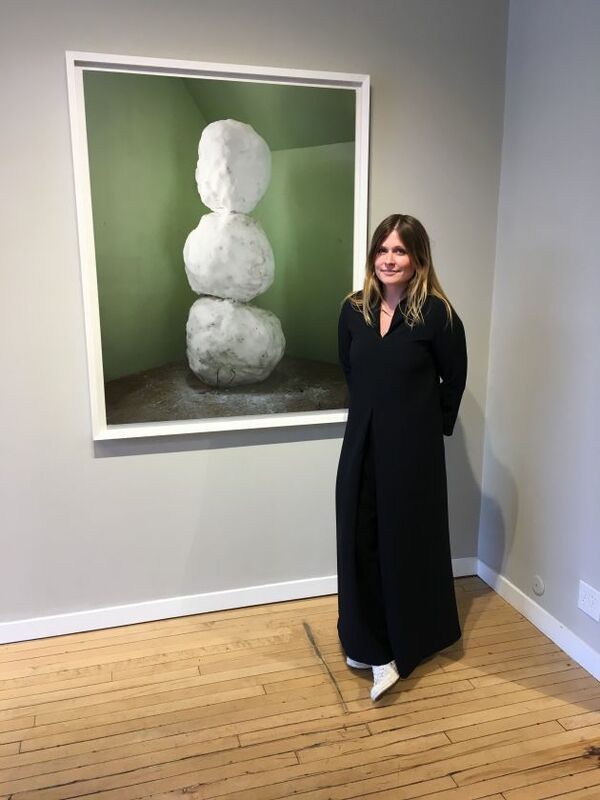 Hammons, who began working at Weinstein Gallery fresh out of grad school at Penn State, where she earned an M.A. in art history, joined 10 years ago, and has officially been the director for seven years. Some of her key shows include the 2015 exhibition “The Fashion Show," an exhibition of work by female fashion photographers, including Ellen von Unwerth. Though she’s thrilled about the new partnership, which also literally changes her ownership in the company, she said this wasn’t her ambition from the start. On the other hand, Weinstein, who is 76, said that this has “always been our plan” and claimed that “she’s been the director for 10 years.” He hired her almost immediately upon meeting her. The Twin Cities art scene landmark, which specializes in modern and contemporary photography, represents an impressive roster of artists, including Alec Soth, Mike and Doug Starn, Gordon Parks, Robert Mapplethorpe and more. The gallery turns 22 next year.